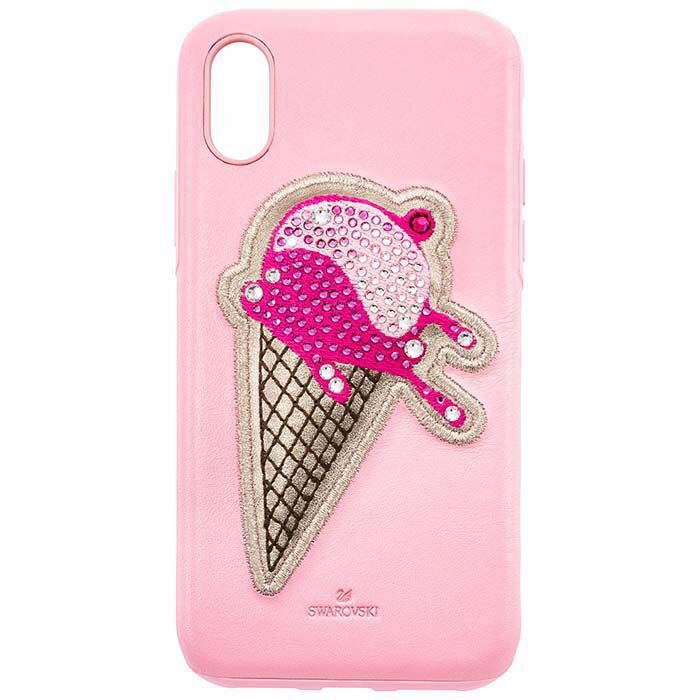 Give your smartphone a fashion-forward makeover for summer with this chic and playful case. Inspired by our No Regrets jewelry line, it is crafted in pink and gold-colored premium leather and features a finely embroidered 3D ice cream motif, embellished with crystals. It also includes an integrated bumper for invisible protection. Designed for the iPhone® XS Max, it is finished with an embossed Swarovski logo. iPhone® is a trademark of Apple Inc.